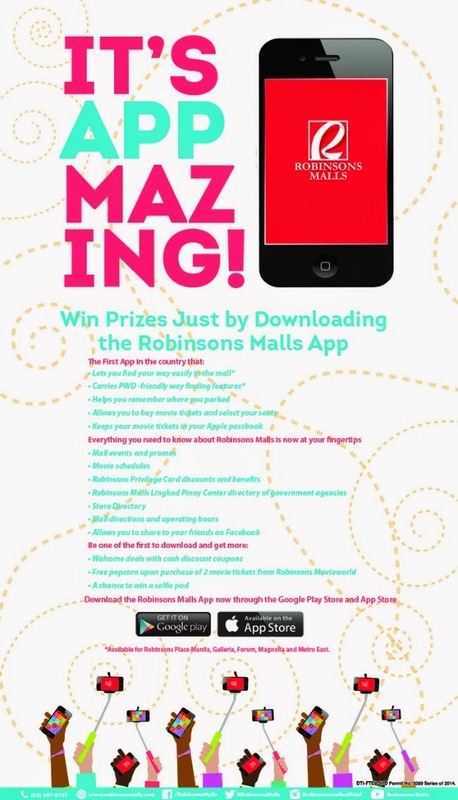 I headed to Galleria a couple of days ago to celebrate the launch of Robinsons Malls new App! It was an exciting event hosted by Nikki Gil and Champ Lui Pio. The Itchyworms also took the stage and performed some of their biggest hits to help pump up the crowd in preparation for Robinsons Malls Brand Ambassador, Maja Salvador. I gotta give it to Maja, she knows how to work an audience. People went wild the moment she took the stage. Me? I kept wondering how she could dance and not slip in her 5 inch stilettos. Seriously. Those things are deadly. So anyway, why all the fuss for an app? It is pretty "AppMazing" and Robinsons is the first mall to develop an application of this kind in our country. Once you download it, you will never be able to live without it. It's so convenient to have handy. Allows you to find your way around the mall, no more getting hot headed trying to find someone to point you in the right direction! 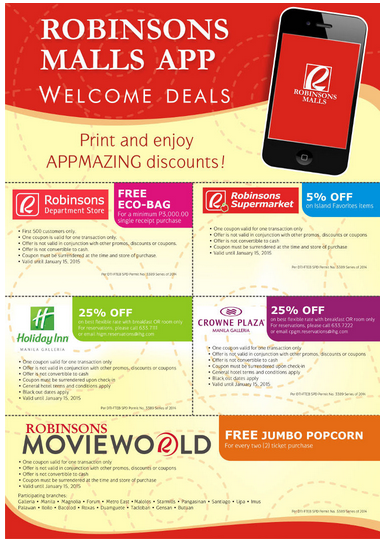 The Robinsons Malls App is available for free download at the AppStore and Google Play Store. Download early for a chance to win lots of freebies and a selfie pod!